Gov. 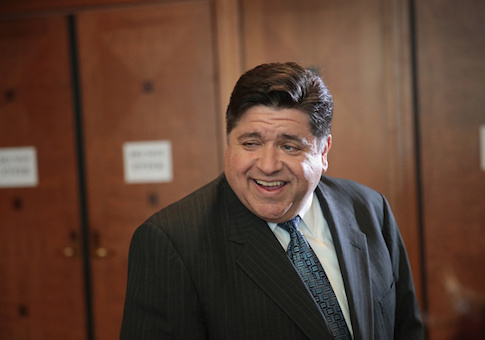 J.B. Pritzker said Monday that he will be looking for new revenue streams to help "dig out" of the state’s financial mess, but two income sources he’s looking at may not materialize by budget time. "It’s going to take a little bit of time to work our way out of this enormous mess," Pritzker said. "And of course we’ve got to find revenue for the state and I’ve talked over time about what those options are." "We’re in the season of ‘introduce a bill’ " Demmer said. "Let’s see what the language is on it. Let’s see what does it do, does it treat taxpayers fairly, where does the money go from it?" Pritzker and other lawmakers have said increasing the state’s minimum wage will be a priority. There’s no election this year. That means votes taken this year could be a distant memory when members of the House are up for election in 2020. Pritzker will have more leeway to get some of his progressive agenda through. "As you know, I’m very much in favor of lifting up working families by raising the minimum wage," Pritzker said. "We’re going to work on that." Pritzker has said there may need to be a gradual increase, but the goal of $15 an hour. With Republicans in the minority, House Majority Leader Greg Harris, D-Chicago, said they will still have a seat at the table, along with employers and workers’ groups. "Within industry and labor there are different points of view with details of implementation and we’ll work through those," Harris said. A Senate committee is set to debate a minimum wage during a subject matter hearing Wednesday.